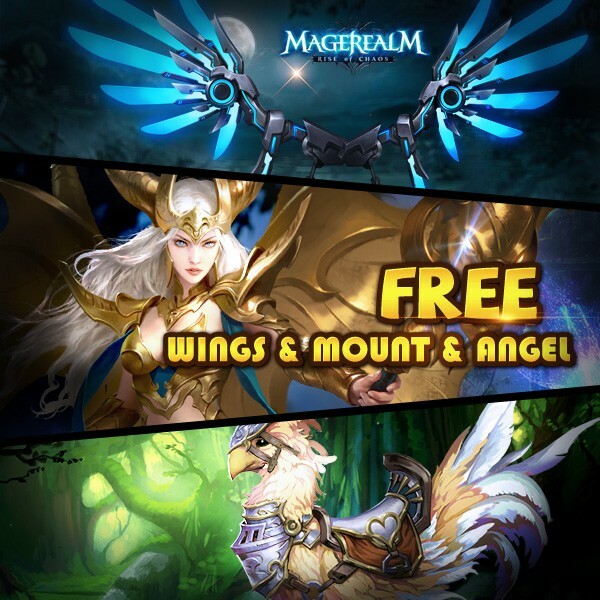 Magerealm_Get FREE wings & angel &mount! Great news for Magerealm players! To reward loyal fans for their continued love and support, Magerealm is having a Login Rewards event! From July 8th to July 18th, all Magerealm players can simply log into the game each day to claim tons of free resources! Plus, players that manage to login for 10 days during the event will receive the futuristic Wings: Prototype X absolutely FREE! Don’t miss out on this huge Login Rewards event! More free resources like Angels and mounts are on their way, be sure to check the official Magerealm Facebook fanpage and forums for the latest news! If you have not tried Magerealm yet, now is a great time to start your adventure in this epic action MMORPG! Magerealm_Show Your Devotion With New Wings!